Nirrakkomandaw li tagħmlu l-ordnijiet tagħkom minn tal-inqas ġimgħatejn qabel id-data tat-tluq tiegħek. Discover the Capital City of Malta with the Valletta Card, which gives you access to a number of benefits over a 24 hour period. 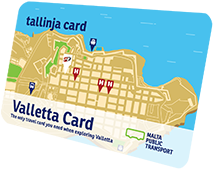 This new card enables you to travel to and from Valletta from any location in Malta using the public transport buses or by ferry from Sliema and Cospicua using Valletta Ferry Services. The Card also includes the entrance to any three of the following The Palace State Rooms, The Palace Armoury and The National Museum of Archaeology as well as Malta 5D. 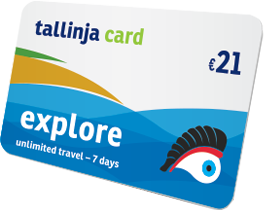 Discover the Maltese islands with the ExplorePlus travel card, which gives you added value on your holiday. This new card gives you 7 days of unlimited travel on public transport, including direct services from the airport and to various beaches; 2 trips on the Valletta ferry; and a full-day tour on the hop-on, hop-off buses visiting Malta’s landmarks, or one trip (including lunch) to Comino by boat. B’ivvjaggar bla limitu, is-7-Day Explore Card toffri l-aqwa valur ghal kull min jixtieq jesplora l-gzejjer taghna. Tista’ tmur fis-siti kollha ta’ interess f’Malta, fi kwalunkwe parti ta’ Malta u Ghawdex. Tista’ titla’ u tinzel xhin trid, kemm-il darba trid, u fi kwalunkwe hin. Din il-card hi valida ghall-ivvjaggar b’servizz ta’ binhar u ta’ billejl. Ghalhekk jekk trid tqatta’ ftit tal-hin fuq il-bajja, izzur Hagar Qim, jew tmur xi festa tar-rahal, din il-card se toffrilek vjaggar illimitat, f’kull hin tal-gurnata.Din il-card hi valida ghal sebat ijiem ta’ vjaggar minghajr limitu li jibdew mill-ewwel jum u hin li tivvalida din il-card fuq il-karozza tal-linja. Hemm card ghall-adulti u ohra ghat-tfal. Il-card ma tistax tissellef lil persuni ohra. 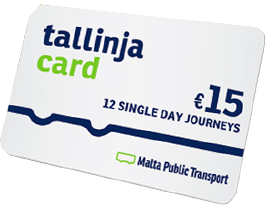 It-12 Journey Card taghna hu mod iehor facli u vantagguz biex tivvjagga madwar Malta u Ghawdex. Perfetta ghal dawk kollha li juzaw il-karozzi tal-linja kull tant zmien, din il-card tista’ tissellef lil persuni ohra u hi valida ghal sena. Qed tippjana jum il-bahar mal-familja? 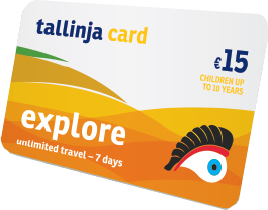 Ixtri 12 Single Day Journeys card taghna u tinghata 12-il vjaggi x’tuza mal-familja kollha. Ghandek bzonn tivvjagga bejn laqgha u ohra, jew ghal xi laqgha? Dan hi l-card li ghandek bzonn. Zommha qrib u aqbez fuq l-ewwel karozza tal-linja.Tista’ wkoll tuza din il-card ghas-servizz ta’ billejl. Tista’ tuzaha ghal 12-il darba fi Vjagg Wiehed b’servizz ta’ binhar jew 6 darbiet fi Vjagg Wiehed b’servizz ta’ billejl, jew tahlita tat-tnejn.